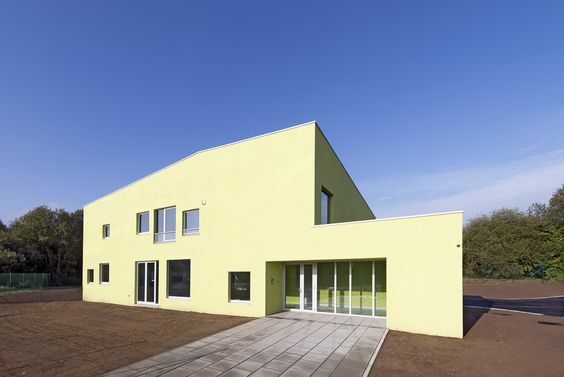 Nursery School Building Design Trends are very curious for all architects. Because architecture of Nursery School Building became an inspirational and fun for kids. Architectural Exploration with Nursery school Building always fascinating to us. There are many reasons in designing of nursery pre school building. Like child or kids physiology, behavior science. Modern technology and school design trends effects. Let’s see some of the famous or infamous architects work on Nursery school building. 1. 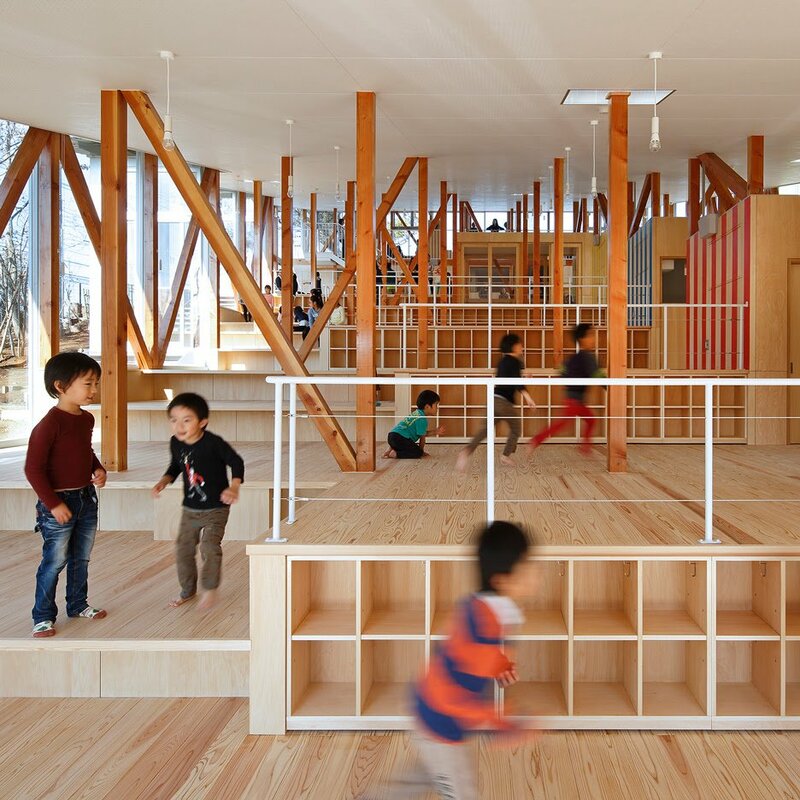 Japanese Nursery School of Atelier organizes around grassy playground. 2. Nursery Pre School in Zubieta Extension By Estudio Urgari. 3. 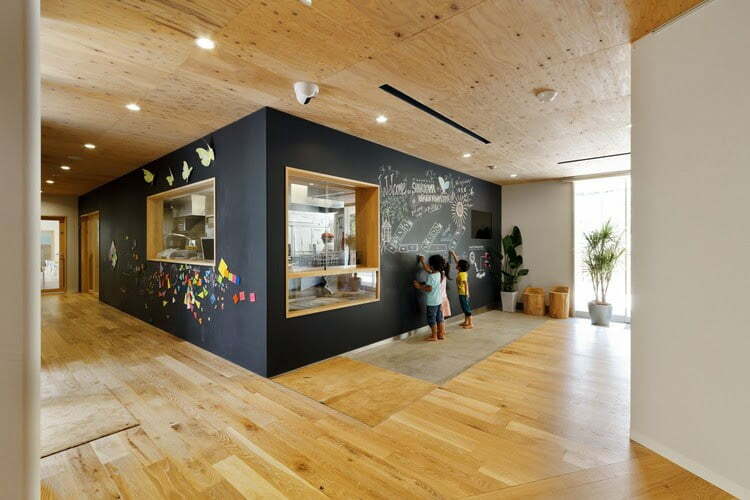 Nursery School Interior By Yamazaki Kentaro Design Workshop. Tokyo studio Yamazaki Kentaro Design Workshop created stepped levels. inside this nursery in Japan’s Chiba Prefecture. 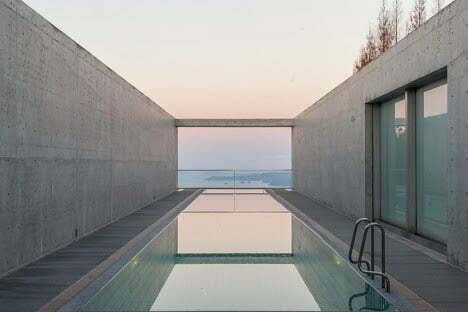 To form a large open space across the sloping sit. 4. SM Nursery building by HIBINOSEKKEI + Youji no Shiro. 5. Nursery Building Blocks and Municipal Workshops by Jean-François Schmit. This collection are give you a insights on current architectural design trends in school buildings. 6. Hakemiya Nursery Design By rhythmdesign + CASE-REAL. 7. 4 Nurseries By Schemaa. 8. 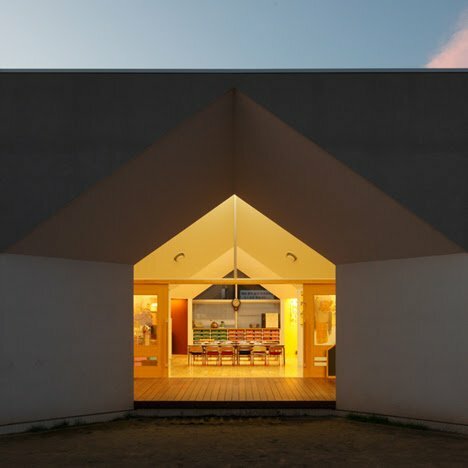 Nursery Building in Tuscany illuminates “like a lighthouse”. 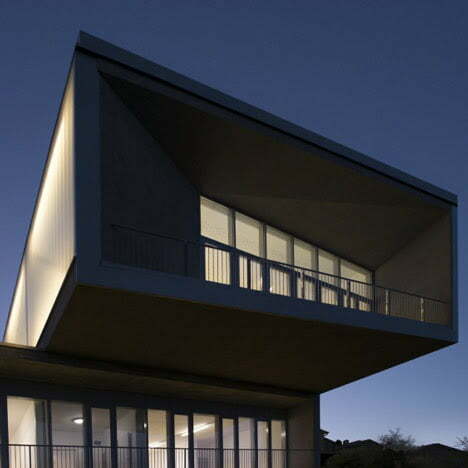 A cantilevered glass-walled room lights up at night. 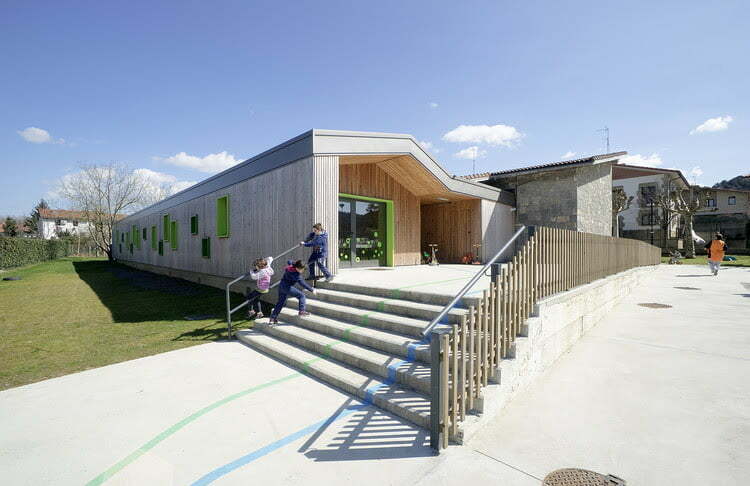 to create a beacon on top of this kindergarten in the Tuscan town of Sinalunga. by Siena firm Studio di Architettura Andrea Milani. 9. 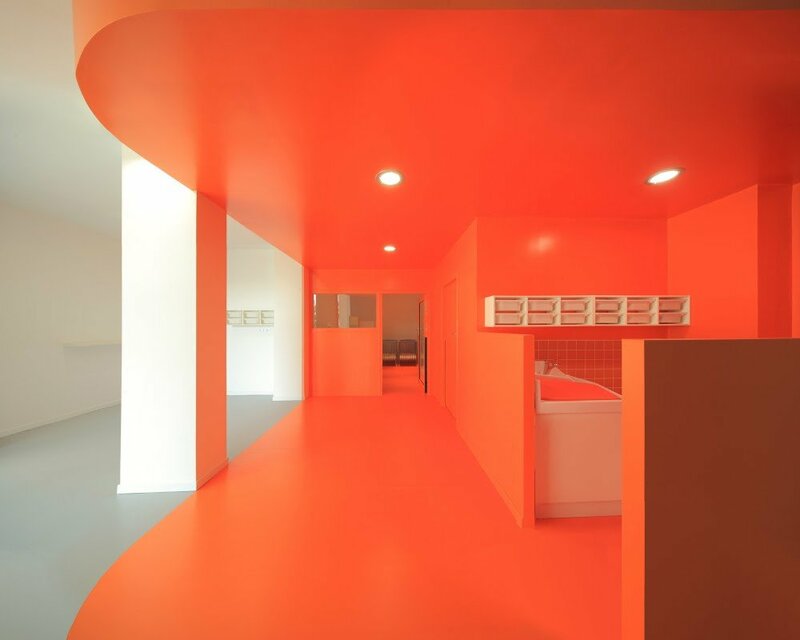 Nursery in Lessines By ARJM Architeture. 10. 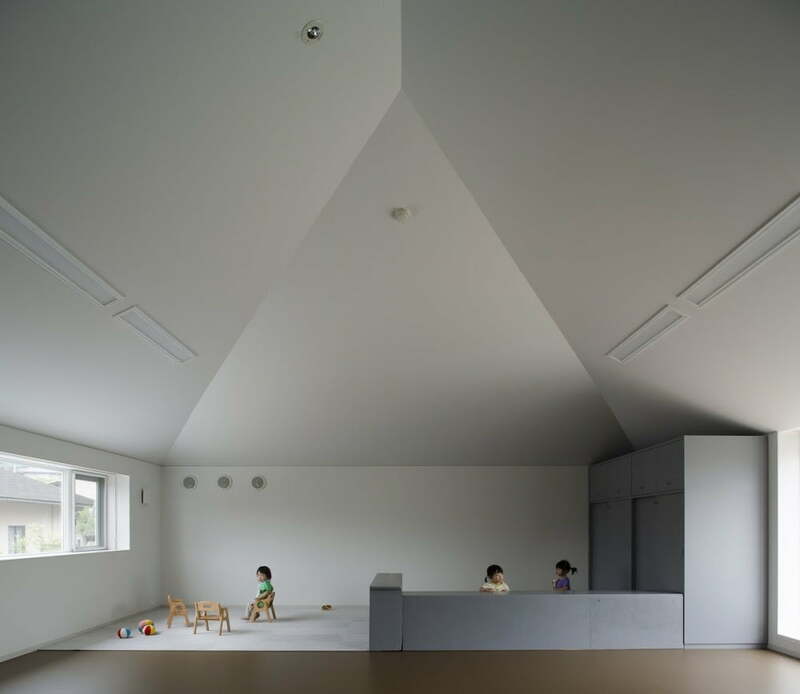 Soichi Yamasaki’s Japanese nursery features house-shaped windows and faceted ceilings. 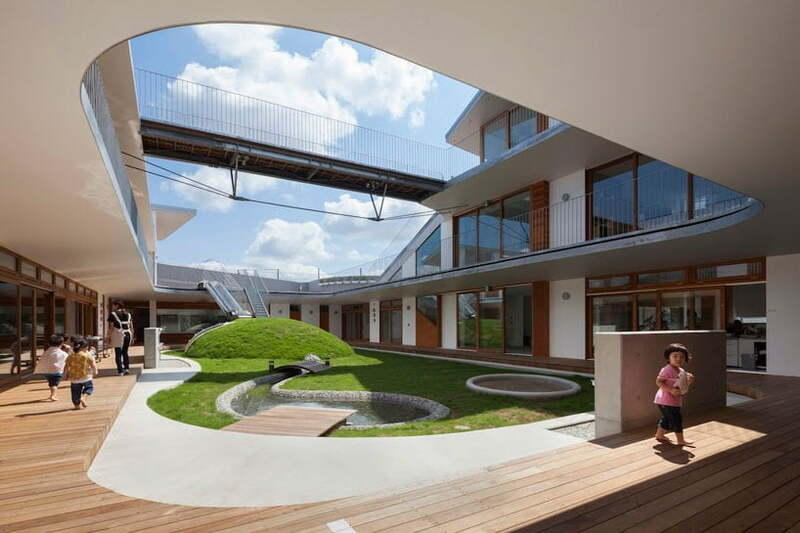 Behind the house-shaped windows of this nursery extension in Kashiwa, Japan. architect Soichi Yamasaki has slotted small square rooms. Between octagonal play areas. Know more about Nursery School Architecture and Planning. Nursery Design Ideas With Folding Facade In Marburg, Germany. Modular Facade with Self Shedding Create Waves in Bangalore, India. Smart School Architecture Create Innovative Learning Environment. Modern Kids Furniture and Storage introduce by Ikea Furniture. Designer Singers Betty Stool by Elena Rogna. The Little Pilot; Inspiring Child Bedroom Interior Design with Color of Flying. 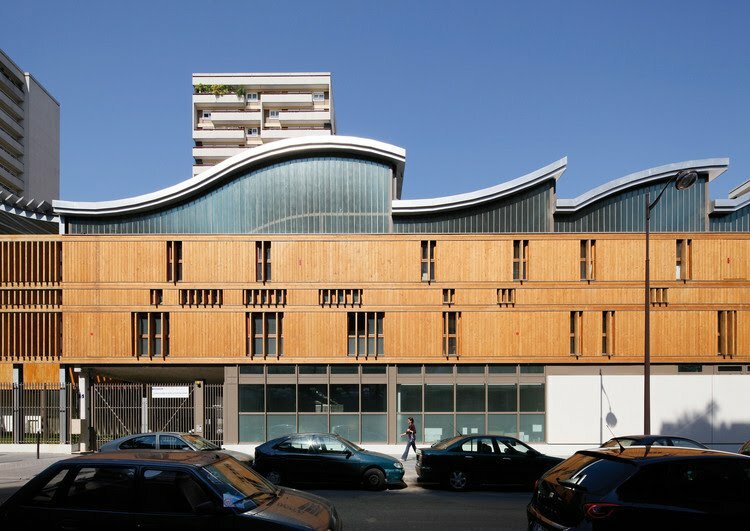 So, Wingers – This is all Current Trendy Nursery building Examples. Have you like out of this collection? Let us know your view on school designs. Share your threads on nursery school architecture and design.